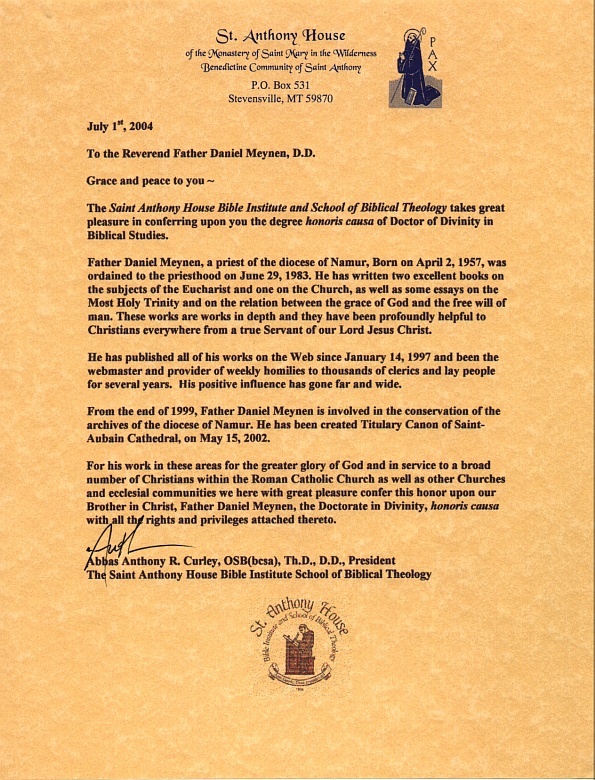 Daniel Meynen is a priest of the diocese of Namur, in Belgium. 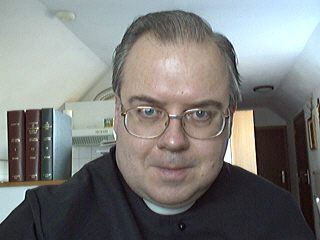 Born on April 2, 1957, he was ordained to the priesthood on June 29, 1983. He has written four books on the Eucharist and the Church, as well as essays on the Most Holy Trinity and on the relation between the grace of God and the free will of man. He has published his works on the Web since January 14, 1997. Since the end of 1999, Father Daniel Meynen has been involved in the preservation of the archives of the diocese of Namur. He was created a Titulary Canon of Saint-Aubain Cathedral, on May 15, 2002. On July 1st, 2004, the Doctorate of Divinity was conferred upon him - honoris causa - by Saint Anthony House Bible Institute, School of Biblical Theology (Stevensville, Montana, USA).